If you are a big fan of Fashionary notebooks you will have realised that they have recently been collaborating with many fashion brands and designers, and have released a few limited edition notebooks. Most of the fashion brands they have collaborated with are recognised for their colourful designs, bold forms and creative patterns. Recent collaborators include Danish fashion designer Peter Jensen, Henrik Vibskov and Paris fashion brand Yazbukey. 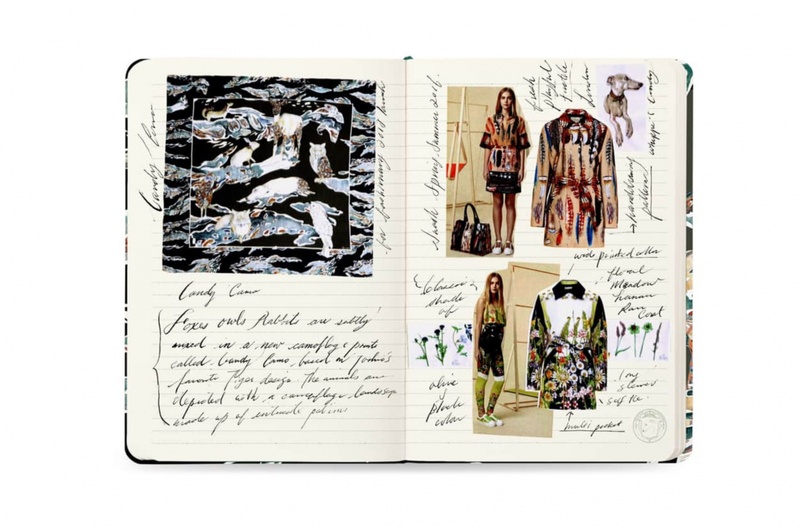 As well as including essential fashion information like a fashion and textile dictionary, and library of patterns in the notebooks, there are also bookmarks and stickers created by the designers involved. 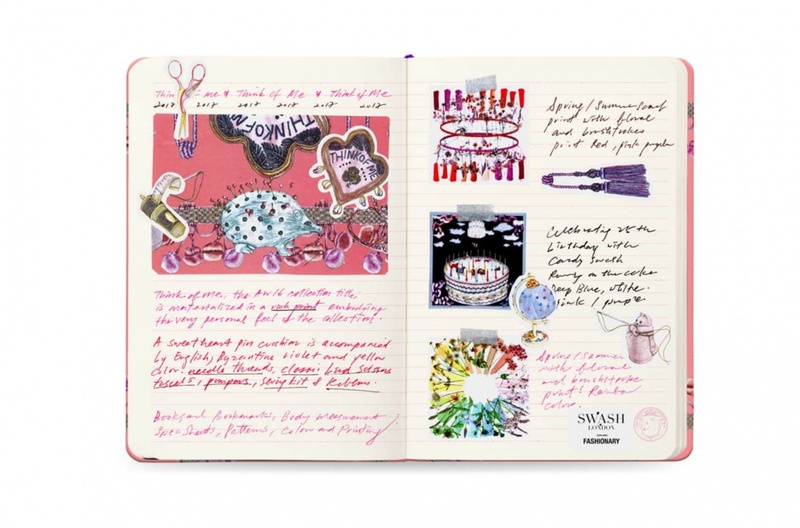 This year Fashionary is collaborating with digital printing guru Swash London for a series of adorable and personal limited edition patterned ruled line notebooks. Swash London is recognised for its artistic and refined hand drawn and hand painted print designs. The graphic “Think of Me” and “Candy Camo” have been hand illustrated exclusively for Fashionary and the covers were beautifully designed by the Swash team featuring stunning details and beautiful stories! 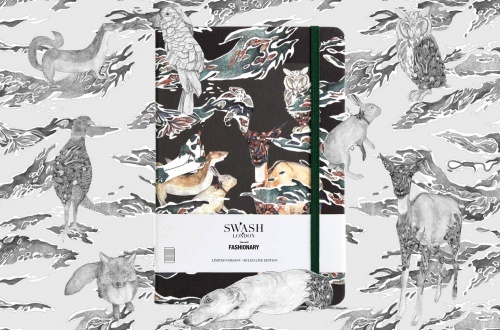 The world of Swash London was created by a creative couple, Swash and Yamanaka. They have impeccable ideas of taste and creativity that you can see from their work. They are also profoundly informed by their passion for fantasy, landscape and botany.